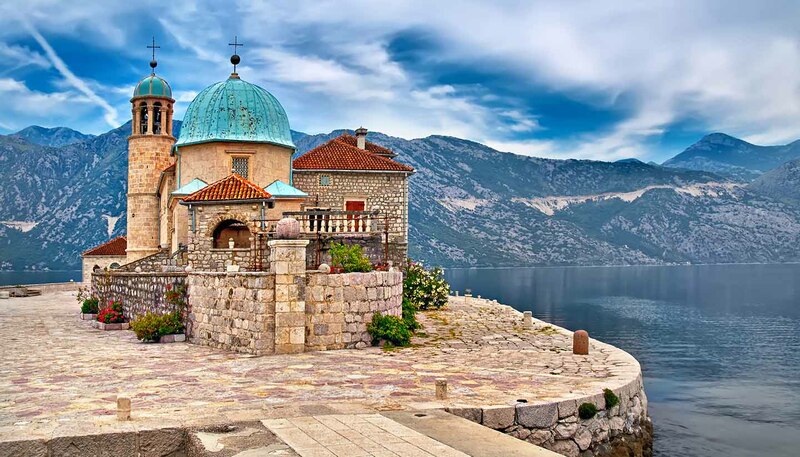 Montenegro is a small country and there are no internal flights between its two airports, Podgorica and Tivat. All main towns are connected by decent roads, but caution should be taken on poor roads in rural areas. There are no motorways in Montenegro, but main roads connecting the larger towns, such as the Bar-Podgorica route, are well maintained. The 4km (3-mile) Sozina Tunnel (toll payable) means that it's possible to drive from Podgorica to Bar in just 30 minutes. The so-called Adriatic highway, running the length of the coast from Igalo (on the border with Croatia) to Ulcinj (on the border with Albania) is a beautiful but rather tiring drive, and it does get busy in summer. Inland, roads in rural areas are often narrow, twisty and poorly maintained. The two-lane Morača Canyon, between Podgorica and Kolašin, is a notoriously bad road and should be avoided when possible. In winter, be prepared for snow in the mountains - by law you should carry snow chains between 15 November and 30 March. Local drivers have a reputation for recklessness. There are currently no motorways in Montenegro, though two are planned (the Montenegrin section of the Bar-Belgrade motorway, and the Montenegrin section of the Adriatic-Ionian motorway). All roads are free of charge, and are divided into 'main roads' (M), which are generally single carriageway; 'regional roads' (R); and 'local roads', which are often poorly surfaced. Both international and domestic car hire firms are represented in airports and main towns. Most car hire companies stipulate a minimum age of 21, though some companies say 18. Main cities have metered taxis, which are reasonably priced, though foreigners are sometimes charged higher rates. It is possible to negotiate a fare when the meters are not in use. Only use officially marked taxis. Motorcyclists must wear crash helmets and drive with dipped headlights switched on at all times. Montenegro’s varied landscapes, unspoilt nature and pleasant climate making it an increasingly popular destination for cyclists. The quiet roads of the stunning interior are a haven for mountain biking, though you need to be prepared to tackle some steep slopes. All main towns, as well as many villages, are connected by an extensive network of long-distance buses, which are reasonably priced but do get crowded, especially along the coast in summer. Major routes include Kotor-Budva-Bar and Bar-Podgorica. Speed limits are 100kph (62mph) on main roads , 80kph (49mph) on regional roads and 50kph (31mph) in towns. Road signs may be poorly marked. Seatbelts must be worn at all times. The minimum driving age is 18. Car headlights must be switched on at all times. The emergency breakdown service is called Auto-moto Savez Crne Gore (Automobile Association of Montenegro), AMSCG (tel: 19807; www.amscg.org/index.php?lang=en). An International Driving Licence is required. No customs documents are required but car log books, a Green Card, vehicle registration/ownership documents and a locally valid insurance policy are necessary. Podgorica has a local bus system, but taxis can be a more reliable way to get around. The medieval-walled old towns of Kotor and Budva are pedestrian only, and are a joy to explore on foot. Towns along the coast are connected to one another by public buses. The national rail network is being upgraded. Due to the country’s mountainous terrain, railways are difficult to build and require tunnels and bridges. Some routes are exceptionally scenic, most notably the stretch from Kolašin to Podgorica. Bar, Podgorica, Kolašin, Mojkovac and Bijelo Polje are on the main railway line running to Serbia. A local line runs from Podgorica to Nikšić, passing through Danilovgrad en route. Timetables are available from Railway Transport of Montenegro (www.zcg-prevoz.me).